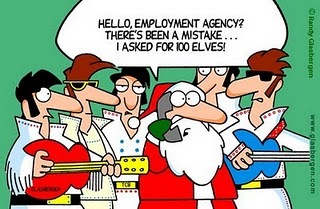 Miscommunication occurs due to failing to communicate clearly. There could be a lack of clear or adequate communication or people merely hear what’s said without really paying close attention through listening. Communication too can be misconstrued, misinterpreted & understood giving rise to a lot of complications and unwanted problems. In most cases, we get different meaning of the words than they intended. 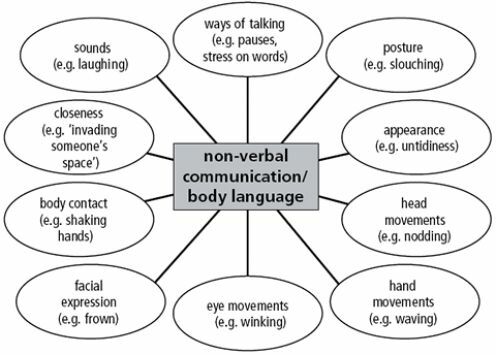 Even body language can create a different impression, though in place of verbal communication it can be most effective. 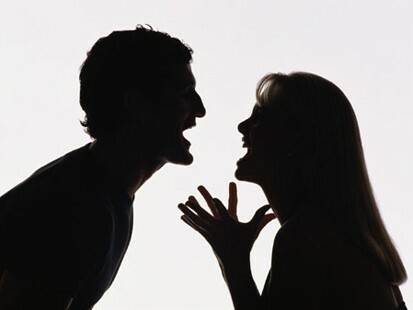 Miscommunication can lead to misunderstanding, argument, hurt & anger and to the extent of creating personal conflict. 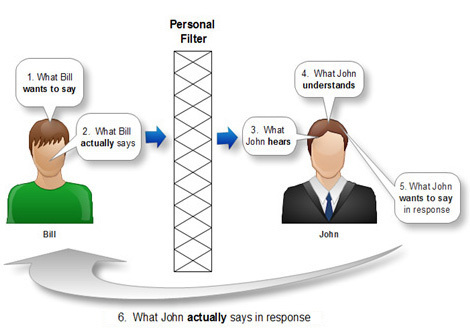 Here’s an interesting picture on how miscommunication occurs based upon a written memo from the CEO to the staff of a particular organisation, as it filters through the hierarchy rung of management. 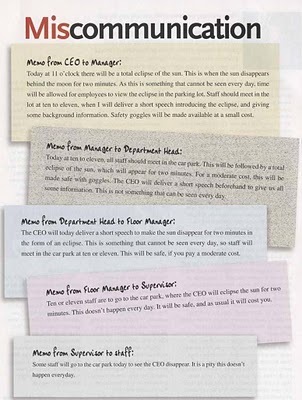 By the time the message reaches the bottom rung from the Supervisor to the staff, it is all distorted & reduced to just one sentence. The whole essence is filtered & lost in its downward transmission. People only hear but not listen! As a general rule,since God endowed us with two ears & one mouth, we should listen twice as much as we talk.